When a White House is confronted with a negative news story, officials face a difficult challenge if the story is largely correct. A common PR technique is to deny things that are not in the story or to make sweeping declarations while ignoring the specifics. President Trump revealed highly classified information to the Russian foreign minister and ambassador in a White House meeting. Trump’s disclosures jeopardized a critical source of intelligence on the Islamic State. Trump, going “off script,” described details of an Islamic State terrorist threat related to the use of laptop computers on aircraft and revealed the city in the Islamic State’s territory where the U.S. intelligence partner detected the threat. The information the president relayed had been provided by a U.S. partner through an intelligence-sharing arrangement considered so sensitive that details have been withheld from allies and tightly restricted even within the U.S. government. The partner had not given the United States permission to share the material with Russia. The Post withheld most plot details, including the name of the city, at the urging of U.S. officials who warned that revealing them would jeopardize important intelligence capabilities. As a guide to readers, The Fact Checker will translate the comments made by national security adviser H.R. McMaster, both on Monday evening and Tuesday morning, in response to the Post report. The key phrase is “as reported.” With this language, McMaster in theory could dispute any element, no matter how small, as false. He notably did not say the story was false. This is confirmation that the laptop discussion took place. The Post story did not say intelligence sources or methods were discussed or that Trump discussed undisclosed military operations. So this is classic deflection from the key findings of the report, the PR version of three-card monte. Now McMaster says the “premise” of the article is false. In other words, it made the president look bad, not that it was wrong. 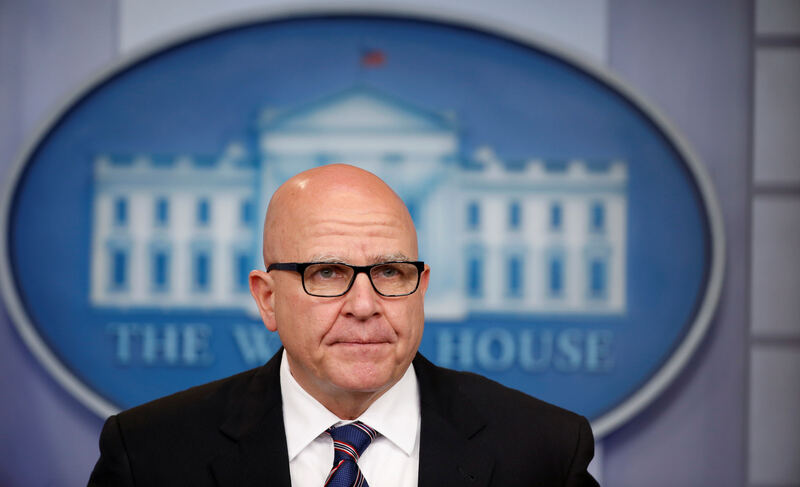 McMaster ducks a question about whether Trump disclosed highly classified information to the Russians. That’s confirmation that this detail in the article is correct. A reporter asked whether Trump shared sensitive information received from a partner. Again, McMaster does not deny that aspect of the article. So that’s further confirmation that a key detail of the story is correct. This is a judgment call, but what White House is going to say the president did something inappropriate? The Post article merely noted some of the possible consequences from Trump sharing the information, but made no judgment on whether Trump had the authority to take the action he took. McMaster confirms another key detail in the article — that Thomas P. Bossert, assistant to the president for homeland security and counterterrorism, placed calls to the directors of the CIA and the NSA to inform them that the president shared the information to Russia. (The Post also reported that “one of Bossert’s subordinates also called for the problematic portion of Trump’s discussion to be stricken from internal memos.”) It’s a bit strange that McMaster would not have discussed this with one of his key subordinates, so we’re dubious about the credibility of that comment. Again, this gets back to the White House trying to push back against the idea that Trump did something wrong. Which White House aide is going to publicly admit that a president’s decision was inappropriate? By naming three officials, McMaster is trying to elevate this point but again it’s a judgment call that does not call into the question the key facts contained in the article. McMaster confirms another detail in the article — that this was a spur of the moment decision by the president, not part of the meeting plan. McMaster, asked if Trump revealed the city where the intelligence was gathered, again does not deny this specific element of the article. Instead, he says the name would be familiar to anyone reading about the Islamic State. This is an interesting bit of spin because the article says White House officials had specifically asked The Washington Post not to reveal the name of the city. McMaster actually has no way of knowing the possible consequences of Trump sharing the information. The Post article noted the concerns of several U.S. officials familiar with the intelligence and how it was gathered, including that Russia could use it to help identify the U.S. ally or intelligence capability involved, especially if it involved intelligence on Russia’s activities in Syria. This is deflection. The president would not necessarily know sources of intelligence unless he specifically asked. But intelligence is marked to indicate its sensitivity and whether it can be shared with other countries. So presumably Trump knew that before he shared it with Russia. The president discussed highly classified information regarding the laptop threat with the Russian foreign minister. The intelligence came from a third country. Trump named the city whether the intelligence was gathered. Trump did this on the spur of the moment. A White House aide informed the CIA and NSA that the intelligence was disclosed. These are the key factual elements of the Post article. The only real issue in dispute is whether Trump’s actions hurt the intelligence-gathering methods of the United States and intelligence cooperation with friendly countries. That will be up to the judgment of history.